Stephen McManus was the first to wheel up on Tuesday early evening, his son and daughter along with him. About two weeks ago, he and a group of others on Twitter decided it was time to move their complaints about blocked cycle lanes offline. They set up a WhatsApp group, drew up a logo, and I BIKE Dublin was born. Now they have T-shirts too. Tuesday was their second direct action since the group was set up. 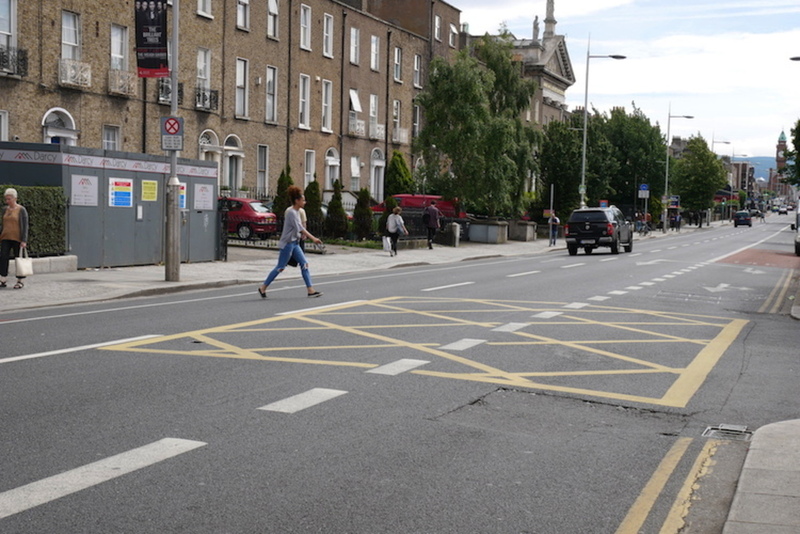 Like the last one, this one involved lining up to protect cyclists using the red contraflow cycle lane that runs along St Andrew’s Street by the church and the Molly Malone statue. Dublin feels to McManus like Amsterdam in the 1970s, he said, as others gradually arrived. By that, he meant polluted, a bit dirty, with a high number of deaths of cyclists. This spot on St Andrew’s Street was one that had come up a lot on Twitter. “It’s famous as a problematic point,” says McManus. Even though there are double-yellow lines and an unbroken white one, delivery drivers will often pull up into the lane and park. It’s about 4:30pm. McManus’s children, Keela, 9, and Dylan, 12, sit down on the steps of St Andrews’ Church and set up a sales point. It’s their job to hawk the T-shirts. “Shall we start lining up?” said Ciarán Ferrie, and headed off with his bike towards the western end of St Andrew’s Street. “It’s about time, isn’t it,” said Kevin O’Farrell, and followed closely behind. The last time – which was also the first time – the group turned out, a week earlier, there had been a stand-off between the row of cyclists and the driver of a delivery van, said Ferrie. Traffic was backed up. It was calmer on Tuesday evening, though. A few cyclists steered up the street, to the whoops and encouragement from those in the line. “Thank you,” said one woman quietly as she cycled through. Another slowed to a wobble when she noticed the line, seeming unsure at first what kind of gauntlet lay ahead. An I BIKE Dublin member ushered her along the path, where she was cheered on her way. Some cars and vans seemed to slow as they passed, a couple drawing into the loading bays opposite. The line attracted some politicians: Green Party Councillor Ciarán Cuffe and TD Eamon Ryan. A couple of members of People Before Profit also stood in the row. 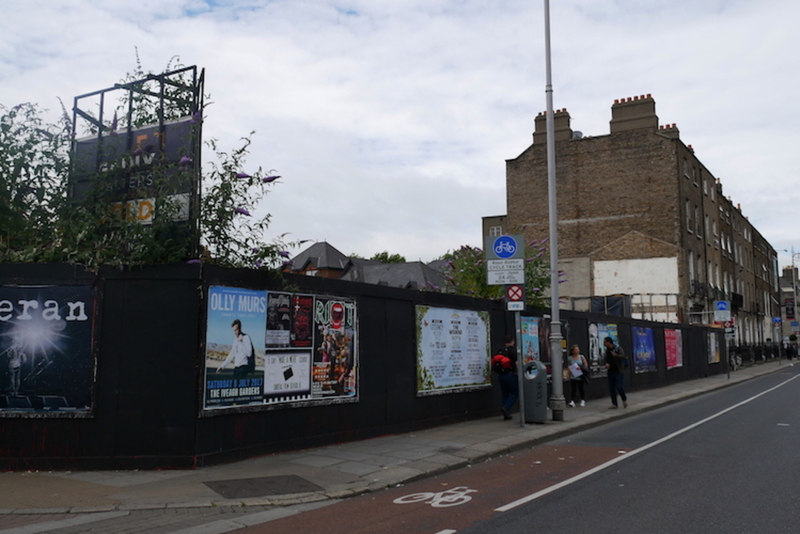 Some of those who turned out seemed frustrated with the lack of action on making the cycle lanes safer: the failure of gardaí to address vehicles parked in cycle lanes, a lack of investment in cycling infrastructure. Cycling champions have been saying that for a long time. 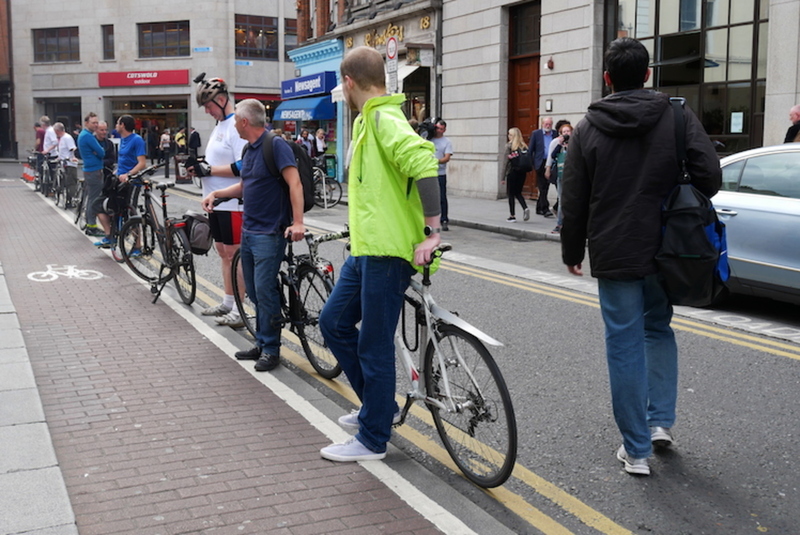 The #IBIKEDublin campaign to #freethecyclelanes shows up the official indifference to the safety of people who cycle at the level of the road authority and Garda. 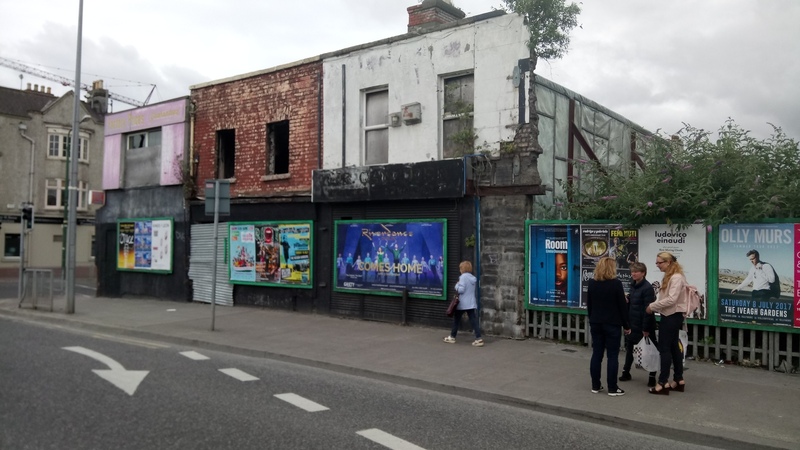 It is not just a Dublin City safety problem as every town and city across the land is blighted by illegal parking in cycle tracks during their period of operation. 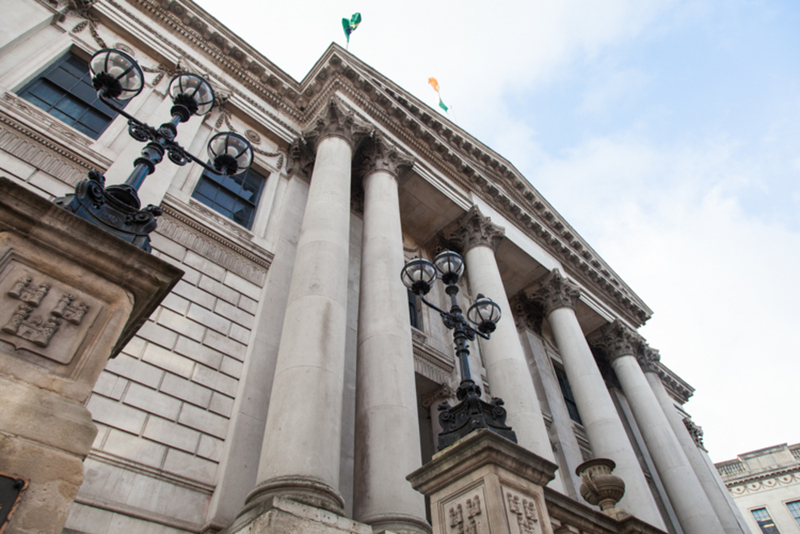 The Oireachtas enacted the cycle track regulations in 1997 and it did not grant discretionary powers to Garda members in the detection of breaches and taking enforcement action. It’s time the Gardaí got their act together and enforced the rules of the road. What’s needed is quick response team of gardai on bikes to ensure bike lanes are kept free and safe from vehicles. I agree with Stephan. Was it almost 480 fines for cyclists breaking red lights last year but the guards can’t/won’t keep the few bike lanes we have free? Only 480 cyclists fined for breaking red lights? Was it just a one morning Blitz? These guys are becoming a hazard and a nuisance. Is this campaign of intimidation even lawful? Blocking people from doing their work is counter productive and just creating an even bigger divide between cyclists and law abiding road users. These people time wasters probably view themselves as activists but they are not. If they want a voice then pay road tax like everyone else. @Alan wolfe: Alan nobody in Ireland pays road tax. Drivers pay motor tax to compensate the damage they cause to the environment. This tax is calculated by the emissions your engine pumps out. So maybe we should have an emissions-based tax for cyclists? Btw if you are paying road tax, you’re being scammed. I’d suggest you contact Revenue.